Both federal and local law enforcement have the authority to take your property if they conclude through investigation that your property has been involved in any kind of criminal activity. There are two types of government forfeiture- civil and criminal. In civil asset forfeiture cases, an individual’s property is seized without charging the person with a crime. In lieu of charging a person with a crime, their inanimate property itself is charged and tried. Once a law enforcement officer has learned of a possible crime, they must establish probable cause to believe that an object was used in said crime before seizing it. Contraband - Any kind of property that illegal in and of itself. Narcotics, smuggled weapons, smuggled animals or stolen property is considered to be contraband because they are all intrinsically illegal. Proceeds From Illegal Activity - Any currency or property that can be traced back to illegal activity. This gets tricky, because if law enforcement accuses an individual of being a drug dealer and asserts that narcotics sales are their main source of income, then they could argue that anything that individual purchases can be considered proceeds from illegal activity. Tools or Instrumentalities Used in Commission of a Crime - Any kind of property that was used to carry out the crime. If a drug dealer owned a house where drugs were stored/made and used a vehicle to transport the drugs, then both would be seized by law enforcement. Even if a defendant is found innocent to be innocent, if law enforcement can connect just the house or vehicle to illegal activity they will take it. Most forfeiture cases are the result of drug-related crimes. Boats, cars, jewelry, houses, money, planes and weapons are all frequently seized assets. The proceeds from seized currency or the sale of seized assets go directly to the arresting agency. Forfeitures are easy and cost-effective ways for a police department to pay for supplies such as weapons, ammunition, police cars, etc., so law enforcement has a direct incentive to seize property. Legally, the seizing agency is required to notify the property’s owner that their possessions are being seized. The owner then has 15-30 days to respond to the government and request what’s known as a probable cause hearing in which the defendant will challenge the probable cause acquired by the seizing agency to determine if the seizure was lawful. An experienced forfeiture attorney is the most effective way to defend your property in a forfeiture-related probable cause hearing. Fort Lauderdale’s top-rated forfeiture attorney, Richard Ansara has handled hundreds of government seizure cases. Recently, one of his clients had two brand new cars, several expensive watches, gold jewelry, designer bags and $40,000 in cash seized by a local law enforcement agency. After retaining Richard, the client was pleasantly surprised to learn that his property was determined to be not guilty, and all of his possessions along with most of the cash was returned. Attorney Richard Ansara is your best defense in any kind of criminal or civil asset forfeiture cases. 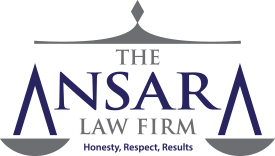 If you or a loved one recently had property seized by federal, state or local law enforcement agencies, call the South Florida Forfeiture attorneys at The Ansara Law Firm at (954)-761-4011 to increase your chance of having your property returned.